The Dutchess County African American Clergy Association held its 49th Annual Commemorative Service on Sunday, January 14, 2018 at Beulah Baptist Church in Poughkeepsie, NY. Rev. 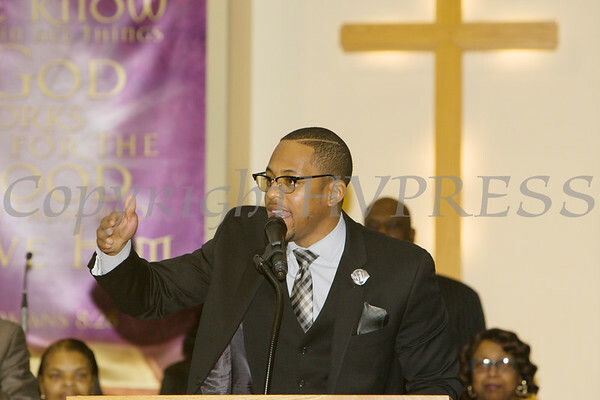 Weldon McWilliams, IV was the keynote speaker for the Dutchess County African American Clergy Association's 49th Annual Commemorative Service on Sunday, January 14, 2018 at Beulah Baptist Church in Poughkeepsie, NY. Hudson Valley Press/CHUCK STEWART, JR.